Feb. 2019: Few love MDEQ. But are oversight panels worth Whitmer-GOP showdown? LANSING — The Michigan House on Tuesday approved a package of bills that would give industry representatives a larger role in environmental regulation, moving the proposal closer to Gov. Rick Snyder’s desk. Championed by Sen. Tom Casperson, R-Escanaba, Senate Bills 652, 653 and 654 provide increased oversight of the Department of Environmental Quality, which Casperson has called overzealous, too quick to deny permits and fueled by a “radical left-wing” environmental agenda. The legislation would create private-sector panels — including one largely populated with industry representatives — that could override agency decisions on rules and permits. The Republican-controlled House advanced the package Tuesday through votes of 57-51, 58-50 and 59-49. The Senate approved the bills in January and must sign off on changes before sending them to Snyder. Related: Senator wants to defang the ‘radical’ Michigan DEQ. He just may do so. Opinion: Michigan’s DEQ needs reform. Oversight boards are a common sense solution. The governor hasn’t indicated whether he supports latest measure. Environmentalists have dubbed the legislation the “Fox Guarding the Hen House Act.” Critics say it would defang a regulator that has lost some teeth due to years of budget cuts and already prioritizes economic development in its decision making. Democrats took up that line of argument Tuesday as they mounted loud opposition on the House floor — describing the bill as an effort to protect polluters. The proposal would undercut DEQ’s power by allowing governor-appointed panels to overturn agency decisions. An Environmental Rules Committee would “oversee all rulemaking of the Department of Environmental Quality,” under the bills. As passed in the Senate, the committee would have full veto power over the DEQ rules. The version that cleared the House would let the DEQ director seek a final ruling from the governor. Six of 12 voting members would represent industries or businesses. Solid waste management, manufacturing, public energy utilities, oil and gas, agriculture, small businesses would each have representation. Other members would include representatives from an environmental organization, a local government, a land conservancy group, the medical field and the general public. Lobbyists could serve on the committee if they didn’t represent more than one client. Meanwhile, a Permit Appeals Panel would resolve permitting disputes at the agency. Aggrieved parties trying to, for instance, alter floodplains, drill for oil, mine minerals — or do most anything requiring DEQ permission — could seek relief. The panel’s 15 members would need to meet educational and professional requirements, and they could not work in state government. The bill does not stipulate specific-interest groups that members must represent. A conflict-of-interest provision would bar panelists from weighing in on a permit if the applicant recently hired or contracted the panelist. The provision would also extend to panelists who had more than 1 percent ownership in the applicant's company. The third bill in the package would establish an Environmental Science Advisory Board to offer guidance to the governor and state offices. The state had a similar body until a decade ago. The board’s nine members, also appointed by the governor, would each have expertise in a number of fields outlined in the bill — engineering and environmental science, for example. Democrats proposed several amendments that failed. Those included proposals to bar people from out of state — as well as employees of companies that have broken state or federal environmental laws — from serving on the rules board. 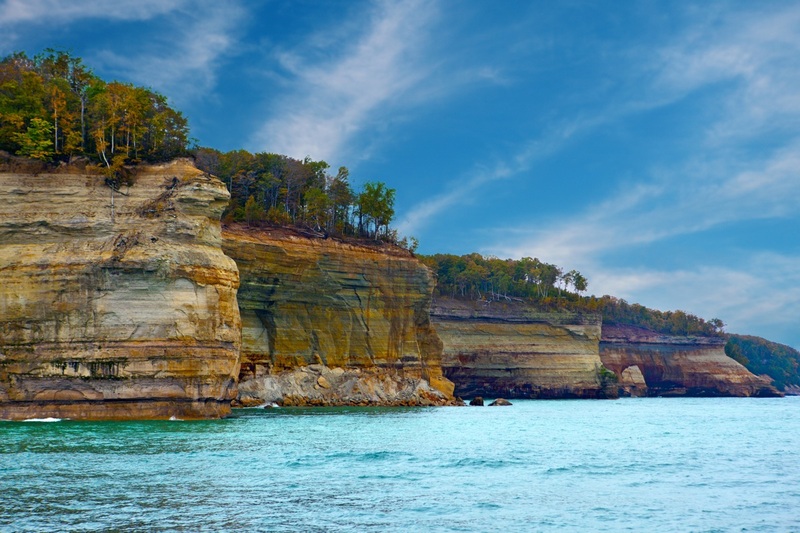 The Michigan Environmental Council, Sierra Club and Michigan League of Conservation Voters and other environmental groups opposed the effort. “These bills are the opposite of reform; they create new ‘Polluter Panels’ that would give the state’s special interests even more sway over Michigan’s environmental policy at the expense of public health,” Cyndi Roper, a Michigan policy advocate for the Natural Resources Defense Council, said in a statement. A slew of industry and business groups support the reforms, including the Michigan Chamber of Commerce, Michigan Farm Bureau and Michigan Manufacturing Association, as well as oil and gas groups. Supporters call criticism of the bills overblown and suggest rulemaking under the proposed system would generally reflect the interests of the governor — as happens at the DEQ now. One Republican, Rep. Tommy Brann of Wyoming, scolded Democrats for demonizing corporations. Environmental advocates say DEQ already closely listens to industry — sometimes more so than they would prefer. Advocates point out the agency’s director, Heidi Grether, is a former oil industry lobbyist and executive who spearheaded BP’s public response to the Deepwater Horizon explosion. DEQ approved 99.5 percent of permit applications — 7,413 of 7,447 — in the 2017 fiscal year and 99.8 percent the previous year, agency figures show. 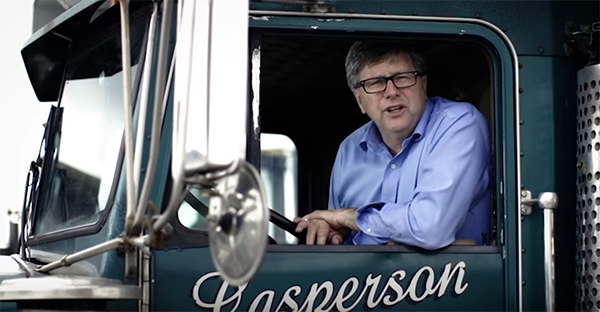 State Sen. Tom Casperson, R-Escanaba, spent more than two decades working alongside his father in the family log trucking business and has often sought to peel back environmental regulations during his 15-year legislative career. He alleges the Michigan DEQ is fueled by a “radical left-wing” agenda. Casperson, a powerful lawmaker in his 15th and final year in office, dismisses the data as “a bunch of baloney” and largely cites anecdotes as a reason to scale back DEQ’s authority. Casperson has repeatedly invoked Indiana as inspiration for the private-sector panels. That state has an "Environmental Rules Board” similar to the one proposed in Michigan. But Indiana’s permit appeals process involves hearings in front of an administrative law judge — much different from the board outlined by Michigan Republicans, which would collectively vote on appeals after hearing arguments at a public meeting. “We’d like to see more representation from health and environmental interests on our board…which makes perfect sense, since that’s the mission of the board — to protect health and the environment,” Tim Maloney, senior policy director for the Hoosier Environmental Council, an advocacy group, said of the setup in Indiana. Maloney said Indiana environmentalists have largely avoided “really bad outcomes” because the past three governors have done little environmental rulemaking. That includes Mike Pence, now the U.S. vice president, who put a moratorium on rules. “The whole rulemaking process and the board’s role in it, is largely responsive to the administration in power,” Maloney added. Snyder, who is term-limited and in his final year in office, has not publically taken a position on the effort. His DEQ opposed the legislation that cleared the Senate, but Snyder will review the final versions of the bills, a spokeswoman said. He has rejected some past efforts to scale back environmental regulations. Snyder vetoed a no-stricter-than-federal bill in 2011, saying it could hamper the state’s ability to protect the environment. And in 2015, he vetoed a Casperson bill that, among other provisions, would have struck “conservation of biological diversity” from the DNR’s forest management duties. One of the Republican's mantras is to streamline government and reduce the number of bureaucrats. Here they are adding another layer to officialdom. At the moment there is the DEQ and its overseeing Natural Resources Commission. Now the "reduce-the-size-of-government" Republicans want to add a third tier to the stack, making the process even more complex. These bills don't help Michigan, but they do help the special interests supporting the GOP, and that's what conservative politics have become. Absolutely correct Le Roy. DEQ and similar environmental regulator’s intended purpose is to protect the citizen’s environment from commercial usage driven ONLY by short term profitability. Of course new businesses offering new employment are vital but giving commercial operations direct involvement in setting, more likely disrupting and delaying, environmental best practices is among the stupidest, most self-serving acts I could imagine. When Mr. Brown says, " Of course new businesses offering new employment are vital but giving commercial operations direct involvement in setting, more likely disrupting and delaying, environmental best practices is among the stupidest, most self-serving acts I could imagine. ", he fails to recognize that two good things, such as the environment and jobs, are often in conflict. The very point of wise public policy is to explicitly specify the desired ratio of the two. He says that "new businesses offering new employment are vital", but fails to specify how much new employment justifies what reduction in the level of environmental protection. Where does he think people work except at commercial operations? Doesn't it occur to him that "profitability" is evidence that the benefits exceed the costs? The justification for environmental laws and regulations is to ensure that costs of pollution are counted as a cost and included in the price of the good or service. But those costs should not be assumed to be infinite. The commonly accepted cost of saving a life is nine million dollars. An environmental regulation that assumes a cost of twenty million dollars is clearly unreasonable. If an environmental best practice assumes such a cost, it should be disrupted and overridden. This set of bills will allow corporate reps to overturn whatever environmental protection rules the DEQ's Collaborative Stakeholders Initiatives didn't already weaken if the corporate interests don't like them. Seems unconstitutional to me. Not just puts the foxes in charge of the henhouse... it lets foxes revise the building codes for henhouses, e.g. easy-open fox doors. Republicans once again show they have no interest in protecting the public interest, health, and we'll being, and we pay with our health. It's the state legislature's responsibility to exercise oversight of the DEQ. If legislators are not up to doing so, either because they are lazy, too busy, or too ignorant, they're not doing the job that they are paid to do. They should not be delegating the responsibility for oversight to a governor appointed board. Corporations are not people, and yes they can and will do harm to the environment. 99% approval is misleading. The DEQ will tell you if your permit is compliant and will get approved, and they'll tell you if it will be denied. Nobody submits a application for something when they know they will get denied.